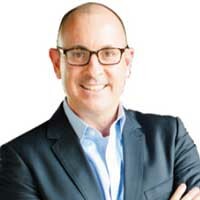 From communicating and implementing strategies to monitoring the execution of the strategic plan, the everyday life of Patrick Murphy, CSO of CFM Partners is like a multi-lane highway. The demands of an ever-changing regulatory landscape and complexities of effective risk management are all part of the ride. A creative thinker and influential contributor, Murphy has earned accolades for his ability to juggle ongoing change while resolving the burgeoning array of compliance issues faced by today’s businesses. The secret formula that powers Murphy’s forward momentum is a keen understanding of the GRC environment and clarity of vision. “Now more than ever, companies are challenged to create and instill a culture of compliance,” says Murphy. “Rather than disrupt workflows and processes, compliance must become a seamless part of doing business. Ultimately, this results in greater productivity and better performance,” Murphy concludes. CFM Partners combines deep compliance and industry expertise with innovative technology to deliver integrated, knowledge-based GRC solutions that enhance corporate governance and improve corporate risk management. “Our solutions help organizations foster a culture of compliance,” Murphy summarized. The company’s flagship product, AccessCompliance™, is an integrated compliance management solution that delivers the right information to the right person, ensuring a high-functioning, highcompliance, risk-informed environment. In addition to Access Compliance, CFM Partners recently released Access Policies sp Manager™, an app for SharePoint available in the Microsoft Office Store. “APSP Manager directly addresses the needs of a number of organizations that have invested in SharePoint and need an easy-to-use solution for policy and procedure management,” explains Murphy. Combining their expertise and solutions with those of strategic partners like Baker & McKenzie, LIMRA, and SunGard, CFM provides its clients access to the highest level of domain, industry, and technology expertise. The company’s solutions have been empowering compliance teams by simplifying and streamlining tedious and time-consuming tasks, helping to create an infrastructure to scale businesses. For instance, NFP Securities, a top ten independent broker/ dealer, adopted Access Compliance to help ensure compliance information and education is at the fingertips of new and existing financial advisors, without needing to add compliance resources to meet their growing demands. Looking to the future, Murphy doesn’t see things slowing down. In the near term, the company will continue to expand into new industries, and aims to integrate with other systems and content providers.